Gravity separation has been used for centuries to separate different minerals and metals based on their specific gravity. Some of the earliest recordings of this science in practice are from Ancient Egypt as workers panned for gold in the Nile river. While today’s geology enthusiasts still pan for gold in streams, Sepro has taken the science of gravity separation and optimized it, making gold recovery at microscopic levels not only possible but economically viable. 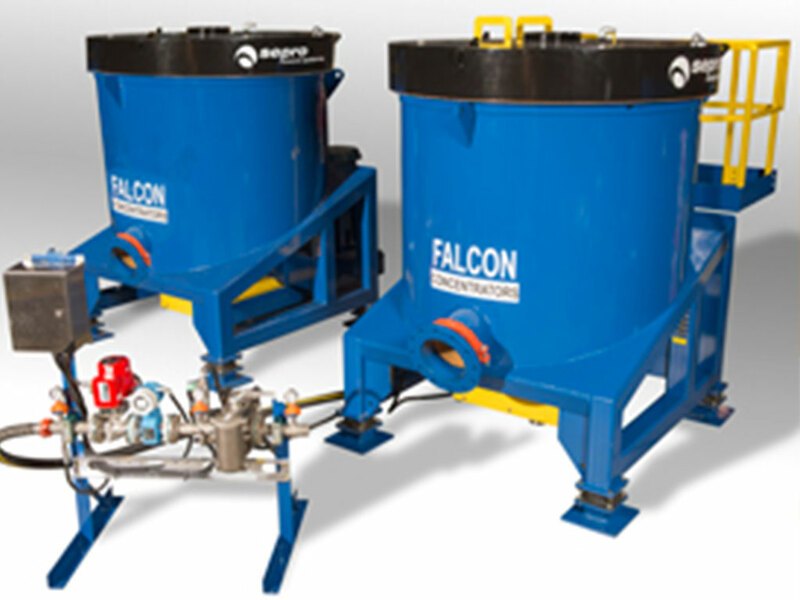 Since today’s gold mines are being forced to recover smaller and smaller particles of gold, gravity concentrators like the Falcon SB are now essential for success. Different elements settle at different rates. 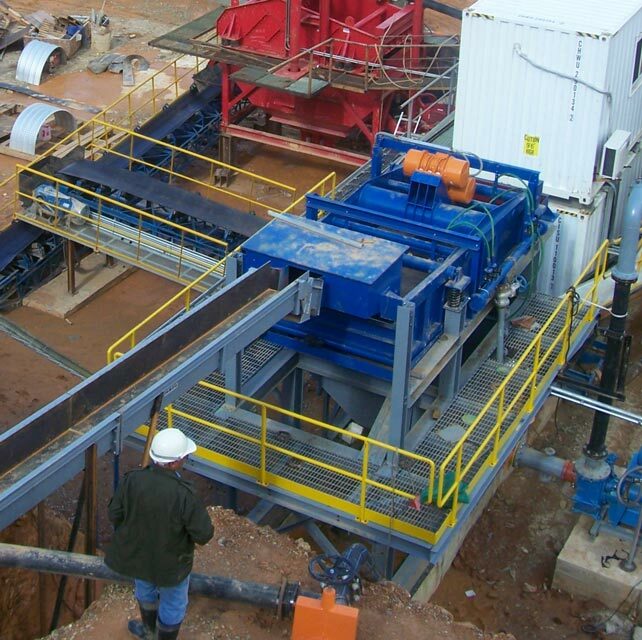 Picture this: Gold ore has been crushed and screened to produce particles which are similar in size. Some of these particles are now liberated pieces of gold, and others are minerals with little value. We now need to separate these particles in order to collect the gold. In some cases, all of the particles can be fed to a jig concentrator. This rudimentary piece of mineral processing equipment uses pulses of water to suspend the particles in water. As the pulses dissipate, the particles settle in the bottom of the jig. Particles with a higher specific gravity (like gold) settle faster than those with a lower specific gravity, effectively separating the gold so it can be collected. The remaining particles are sent to tailings. But what if there is still some gold in the tailings particles? If there is a significant portion of fine gold, the tailings are sent to a high G-force gravity concentrator like the Falcon SB Concentrator. Gravity concentrators use the same principles of gravity separation at higher velocities. While conventional gravity separation happens at one G force, the Falcon SB uses up to 200Gs to concentrate microscopic particles as small as 20 microns. The same principles apply, just at a smaller scale. Dense particles will settle first, and light ones after. To start recovering gold and other precious metals using the principles of gravity separation, contact the mineral processing experts at Sepro. We’ll be able to help you identify the optimum process for your current or future mining operation. Previously, we’ve helped companies like TMAC achieve record-breaking gold recovery and we are confident that we can help improve your results too.